A brief historical introduction to the Slieve Bloom Association. In 1972 Jim Fanning, who was the editor of the Midland Tribune newspaper, decided to set up an association to attract tourists to the Slieve Bloom Mountains region and to share the amenity where he loved to walk. This area was a hidden beauty in Ireland that most visitors only passed through on their way to other regions of the country. Jim called a meeting in Kinnity which was initially attended by 3 other people – Paddy Lowry R.I.P., Paddy Heaney and Jim Delahunty. They adjourned to Roche’s Parlor to write a constitution for what is now known as the Slieve Bloom Association. The final version of the constitution was adopted at the first Annual General Meeting of the association held in 1975. About 2 weeks after the first Annual General Meeting, a second meeting was held in the town of Camross where 20 people convened and a committee was formulated. Bob Quinn was mandated to do the original survey of the small villages of the Slieve Bloom Mountains region and to assess the villages’ potential for the development of tourism. The first walk of the Slieve Bloom Association was to Glenbarrow and entailed clambering over obstacles that blocked their way and making the walk quite troublesome. 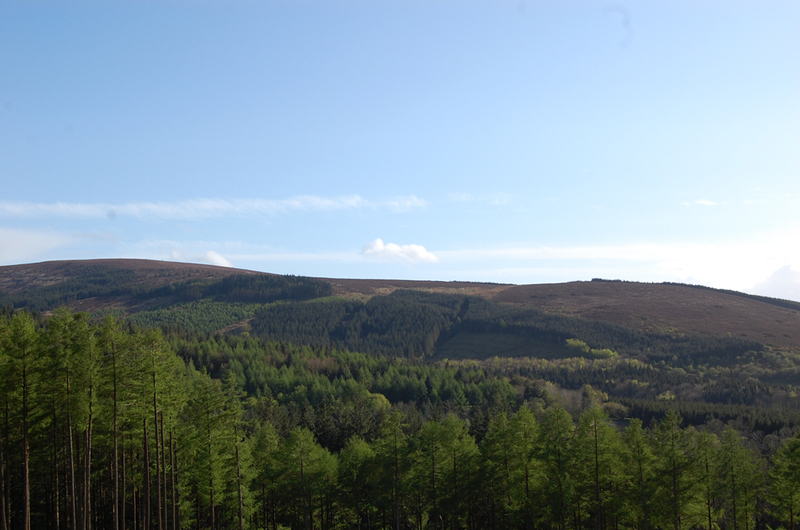 In 1975 it was unusual for the Forestry Departments to allow walks on their land, however the Slieve Bloom Association worked with the Forestry Officials to improve accessibility around the mountain regions to the level facilities are provided today.